In case you are looking for a supplement able to boost your metabolism, radically increase your energy levels, and efficiently burn fat, Hi-Tech Pharmaceuticals Lipodrene will help you do everything mentioned and more. You can now fulfill your fitness objectives easier, consuming Lipodrene with Ephedra. Acacia rigidula extract, included in Lipodrene, is one of the most efficient stimulators available. Acacia rigidula contains a beta-2 adrenergic stimulant, and studies have proved that it will effectively promote your natural metabolic and thermogenic processes. This Hi-Tech Pharmaceuticals product is designed to help you efficiently burn fat in the areas which fat cells just seems to stick to. If you’ve ever endeavored to lose extra weight, you know that the abs, hips, thighs, and buttocks are the problems areas. 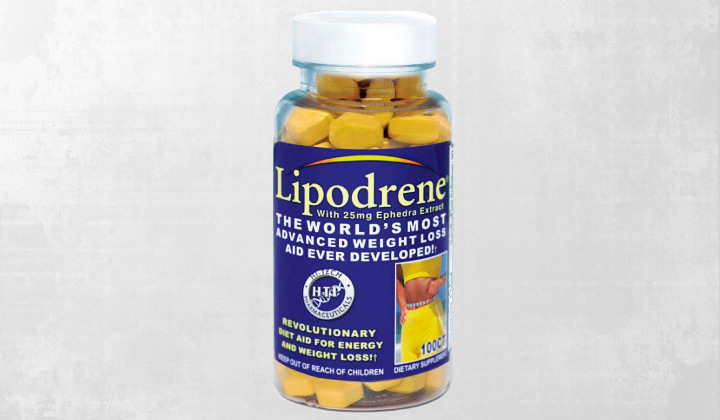 Together with a proper diet and exercise, of course, Lipodrene will assist your body with desirable transformation. Get ready to take your body to the whole new, perfect level! Whether you’re a bodybuilder trying to get rid of fat and build your muscles or just an average gym-goer trying to keep fit and tone up, the Lipodrene supplement will help you, providing incredible results! №1 Selling Weight Loss Supplement with Ephedra in America! Contains 25mg Thermo-Z brand Ephedra Extract – Legal in US! Where to buy “Lipodrene with Ephedra” ? Take 1 to 2 tablets in the morning and 1 tablet after lunch. Never exceed 4 tablets per day.